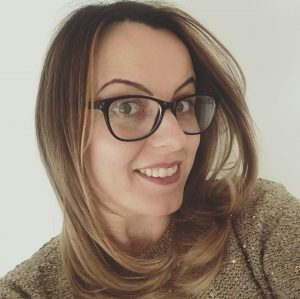 I am NOT one of those creative, child friendly mums and I’m not ashamed to admit it! I’m also not one YET to allow my kids to have a sleep over. Don’t get me wrong I love kids but I can barely look after myself and the people (& dogs!) under my roof let alone have the responsibility of someone else’s child…. overnight!!! If you are daring enough though here are my ways to create an affordable kid friendly halloween party or sleepover! If like me you’re not keen on organising a sleepover overnight just yet then stick some black bags on your window, make it as dark as you can and invite the children mid afternoon. By the time the film has finished it will be dinner time! Throughout October save those empty loo rolls! Cut eyes into the sides and pop in some glow sticks. Blue tack them to the walls and when it’s dark you will have spooky eyes glowing around the room! There are TONs of spooky themed food out there you can try but a lot of them you need to buy specific things to make. Here are some you can do that are really simple and super cheap! 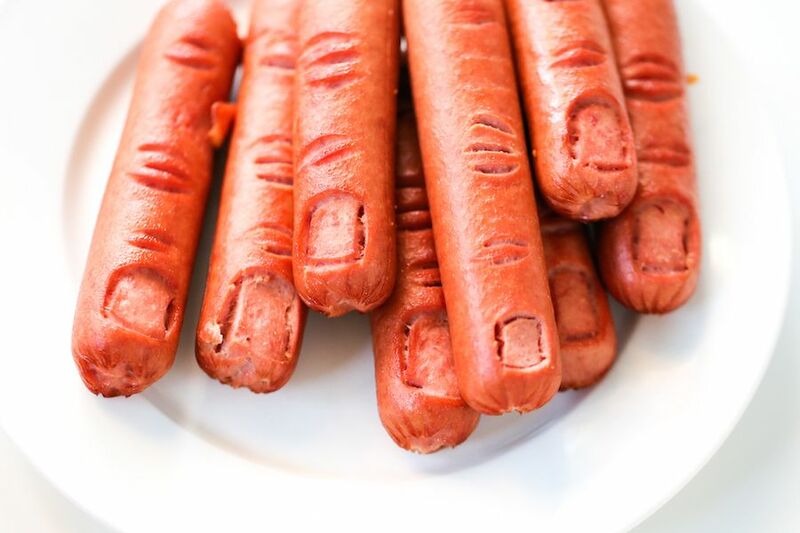 I love the hot dogs with ketchup as blood and turned into fingers… these always look awesome and everyone with a child has a ton of hotdogs and ketchup in their house! Previously we’ve filled clear rubber gloves with sweets for the kids to take away with them. Just make sure the sweets are either wrapped up or the gloves are food safe… I had loads in as I used to bake and filled them with candy we just dug out of the cupboards! Other quick, easy and cheap things you could do is just draw up a pumpkin face on small clementines, fill up a bunch of straws with jelly to make some ‘worms’ and wrap up some lollipops in toilet roll add some eyes and you have a bunch of ghosts! 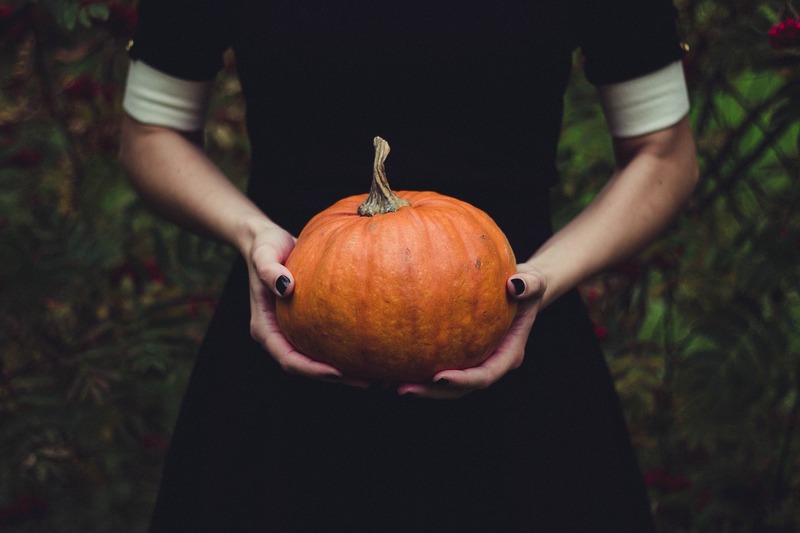 If you have some pumpkins in already or intend to get some for Halloween anyway pick up some the next time you are at the supermarket but make sure they have quite tall stems. 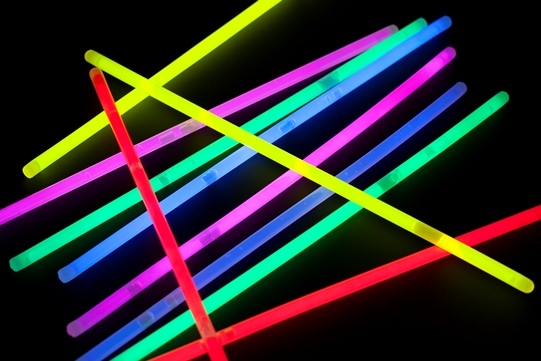 Use the glow sticks, I’ve no doubt you now have loads of from decorating the room and only using 5 out of a pack of 100(! ), and pop them together to a necklace. Line up the pumpkins and have a game of pumpkin ring toss! 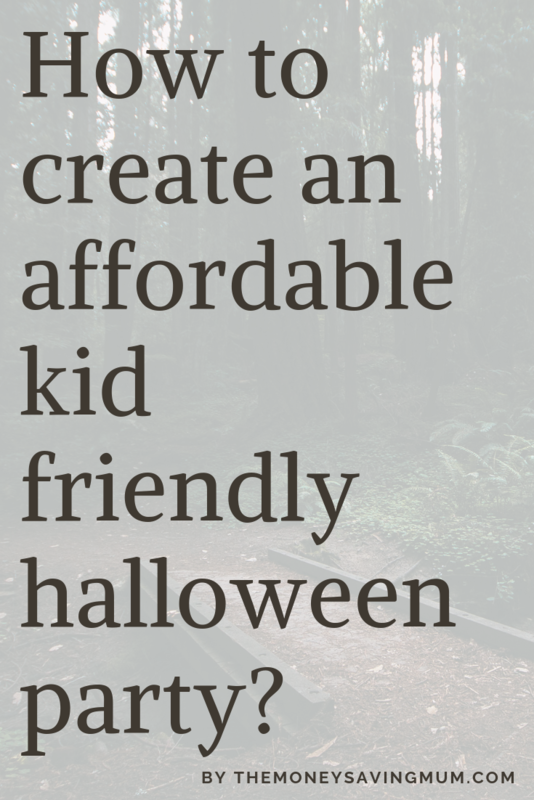 And that’s is for my ways on how to create an affordable kid friendly Halloween party! 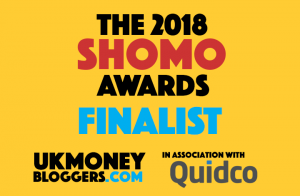 I’d love to hear if you have any ideas; drop me a comment down below and if you found this post useful then feel free to share!